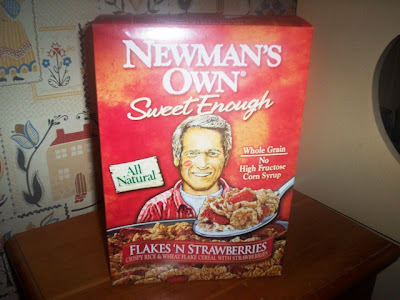 In honor of Mr. Newman, I decided to pick up a box of Newman's Own Flakes 'N Strawberries cereal ($3.99). Newman's Own is famous for making a line of natural foods. Since Mom and I enjoyed Newman's Honey Nut O's so much, I figured that this cereal would be just as good. I was right! THE VERDICT: Delicious! The flakes are made from rice and wheat and had a great crisp to them. Added into the mix were real strawberry pieces that had a very strong flavor which carried over to the flakes, giving them a fruity taste. This cereal is great for people who are watching their sugar because it only has eight grams per serving. 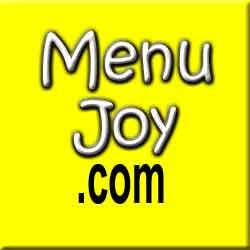 It is also fat free, cholesterol free (before the added milk), and has only five percent sodium per serving. It's a shame that Paul Newman has passed away, but his name will live on through his acting accomplishments, his charity work, and his delicious Newman's Own products.